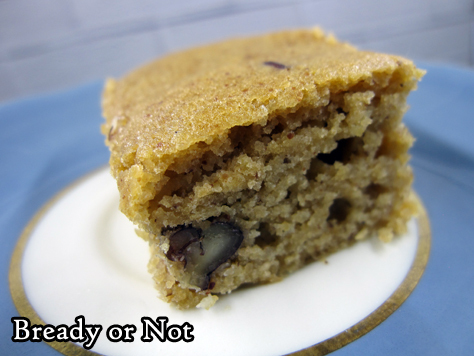 These are not mere blondies. 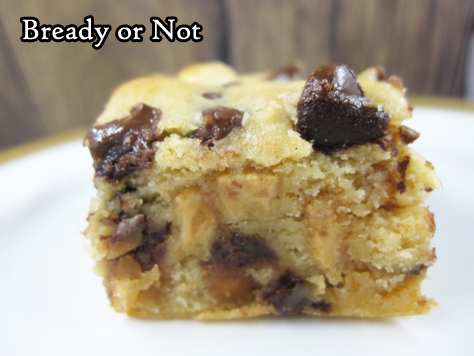 No, these Peanut Butter Chocolate Chip Bars are practically cake. Seriously, this could work as a birthday cake for a chocolate-peanut butter lover. 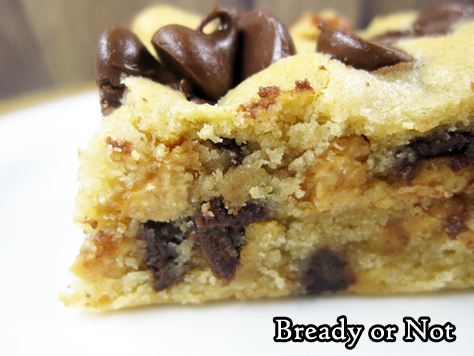 These bars are THICK and loaded with goodness. This recipe makes a full 13 by 9 pan, so there’s plenty to share. 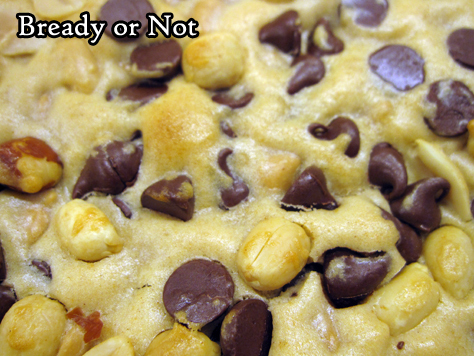 As dense as each bar is, you probably don’t want to cut them large. Bars like this freeze very well, too, so you can stash some away to enjoy later. 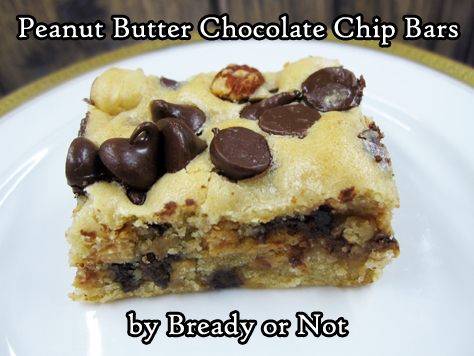 I can’t help but wonder how this recipe would be with Reese’s Peanut Butter Cups chopped into it, too. I should try that sometime. Recipes are stories. There will always be other ways to twist them into something new and enjoyable. 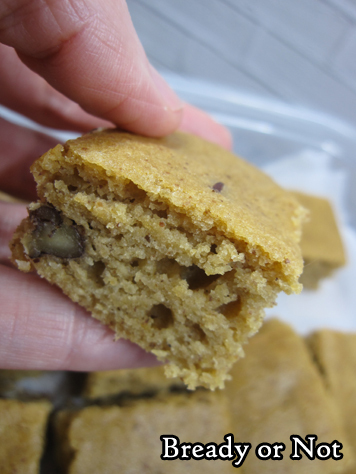 No one will be able to tell that chickpeas form the base of these healthified blondies, but the truth is right there in the name. A food processor is necessary for this recipe as the chickpeas (aka garbanzo beans) must be utterly pulverized. Weirdly enough, a lot of health cookbooks and blogs have discovered chickpeas end up eerily like bland cookie dough once they are mashed up. 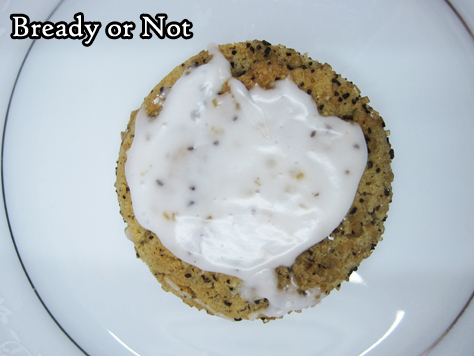 I found the base recipe in an issue of Cooking Light and significantly modified it into something new. The original had tahini (which I do not like, so I subbed almond butter) and dark brown sugar (which I usually don’t have). 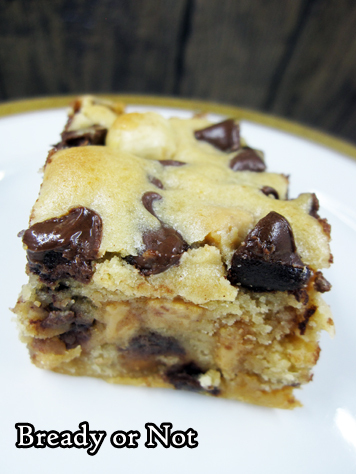 The pecans add a wonderful texture to these blondies. 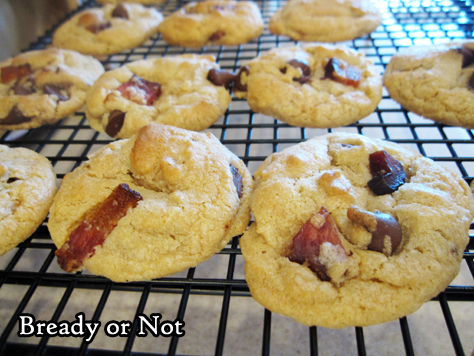 If you don’t like pecans, I would suggest still using some kind of nut or seed for a mild crunch. 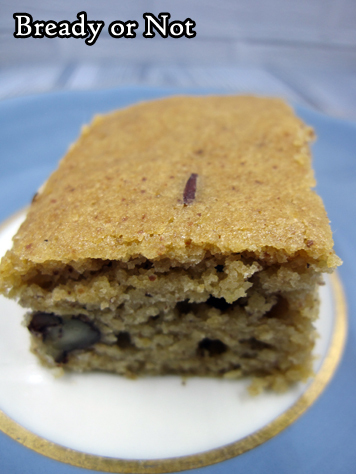 These lightened-up blondies use chickpeas as a base, but trust me, you can’t tell they are there. 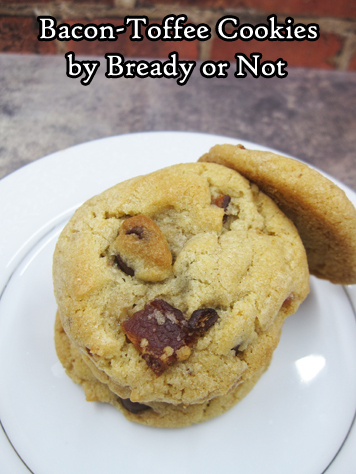 These are just sweet enough with an additional crunch from pecans. Preheat oven at 350-degrees. 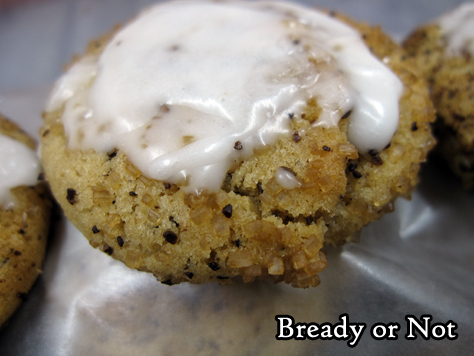 Line an 8x8 or 9x9 pan with aluminum foil and apply nonstick spray or butter. Using a small saucepan, brown the butter, stirring often. Transfer to a bowl to cool for 15 minutes. Whisk in brown sugar, eggs, and vanilla. 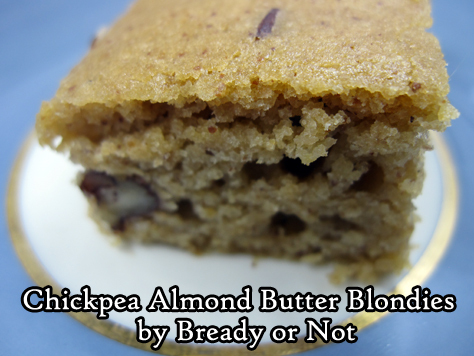 Place chickpeas, almond butter, and milk in a food processor, and mix until smooth, scraping down the sides often. Stir the chickpea mixture into the butter mixture. Combine the flour, baking powder, and salt in another bowl and whisk together. Stir dry mix into the chickpeas. Fold in the pecans. Pour batter into ready pan. Bake for 25 to 27 minutes, until it passes the toothpick test in the middle. Cool in pan for hour or two. 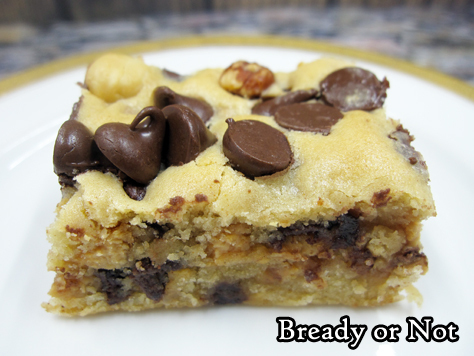 Use foil to lift blondies onto cutting board to slice into pieces. 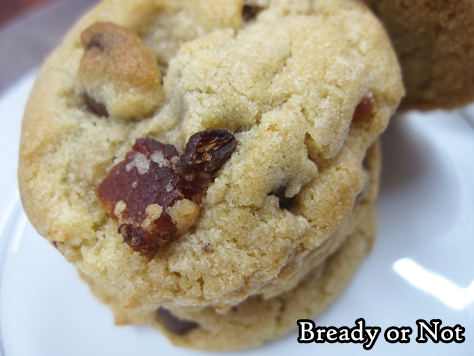 Store in a sealed container, with waxed paper between layers, at room temperature or in the fridge for up to 3 days. Bars also can be frozen for later enjoyment. In the fading light of a dying star, a soldier for hire searches for a missing refugee ship and uncovers a universe-shattering secret.Asala Sikou is used to looking after number one while crisis reigns in her dying planetary system. But when she’s hired to find a missing refugee ship, she discovers that this is no ordinary rescue mission, and she must play a role in deciding the fate of the whole universe. I was sent an early copy of this book from the publisher. I’ve heard good things about Serial Box–and had friends work with them–but I had yet to read any of their serialized novels. I admit to some skepticism. In the case of The Vela I’ve read and loved three of the four authors in the project, and they have unique styles. How would a book flow together? Would it feel disjointed? To my delight, yes, the book flowed together, and to my surprise, no, it didn’t feel disjointed or like related short stories. It worked–and very well at that, as these are among the best science fiction writers out there right now. Their individual approaches were noticeable if the reader is familiar with their works (S.L. Huang writes breathless action; Becky Chambers has a knack for subtle, emotional touches) but they flowed together seamlessly. 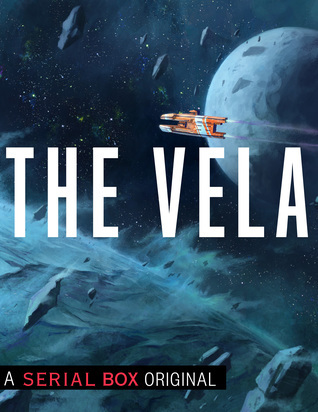 The Vela is action-packed and visceral, full of emotions, insight, and punch-to-the-gut revelations. The sun is dying, the planetary system with it. The worlds closest to the sun struggle onward as the outer planets succumb to frigid temperatures. Asala is a child refugee from a dying world, grown to become a skilled assassin and bodyguard. When the president of a privileged planet tasks her finding a lost refugee ship, she balks. She has no desire to revisit the dark memories and places of her past. The fact that the president is including his meddlesome hacker child in the mission makes it even more unappealing. However, an uneasy partnership is struck, and Asala soon finds that the search for the Vela will uncover secrets that could save–or destroy–the entire system. Every character in this is complex and real. Asala has a grittiness to her that is still relatable. Niko, the nonbinary hacker, is idealistic to a fault; I want to add that it’s fantastic to see a nonbinary lead character, and it fully showed how gender wasn’t necessary to define who Niko was or how they behaved. The pacing of the book is extraordinary, especially in light of the alternating chapters by different authors. This is a space opera that really has it all–intense action, near-death scrapes, and tear-inducing scenes. I came to love these characters, and the dramatic conclusion left me in awe. I’m adding this book to my shortlist for best novel nominees for this year. It’s that good. 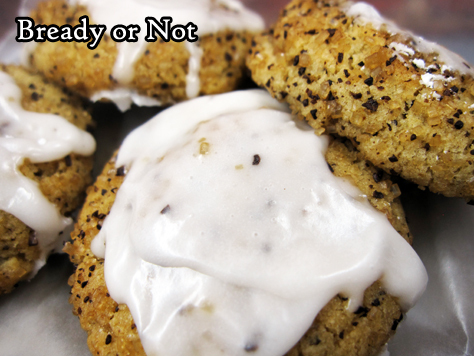 Eat your coffee in these Chewy Coffee Cookies, and get your day off to the right start. 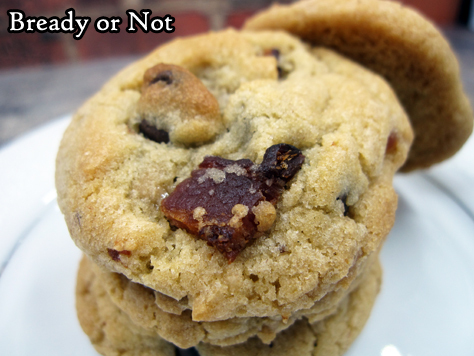 These cookies are chewy with a slight crunch, with the outside pleasantly crusted with turbinado sugar and coarsely-ground coffee. My husband’s work lives on coffee. It probably runs through people’s veins. Needless to say, they liked these cookies. 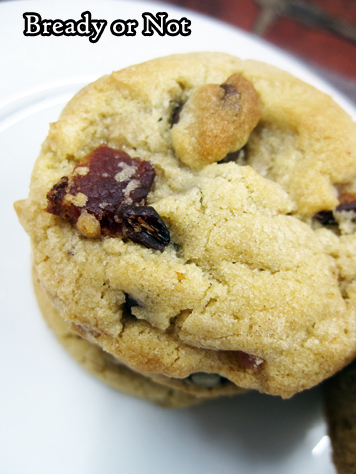 These are the sorts of cookies that are good for breakfast, snack, or a party spread. Just maybe an event early in the day because, you know, caffeine. I am told these cookies also taste good with coffee. Who knew? Modified from Food network Magazine December 2017. 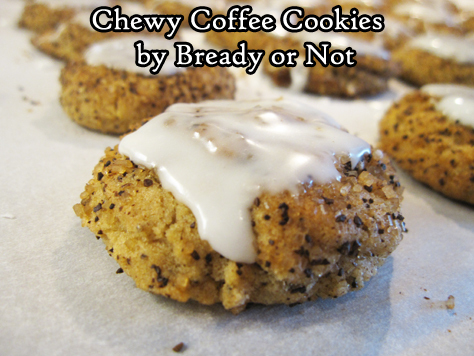 These chewy, slightly crunchy goodies are perfect for the coffee lover! Preheat oven at 350-degrees. Line baking sheet with parchment paper. In a small bowl, combine 1 Tablespoon of ground coffee with the turbinado sugar. Set aside. In another bowl, mix the rest of the coffee with the flour, salt, baking powder, and cinnamon. In a big bowl, beat together the butter and brown sugar until light and fluffy; using beaters, about 3 minutes. Add the egg. Gradually stir in the flour mixture. Drop a teaspoon of dough into the coffee and raw sugar, and roll to cover. 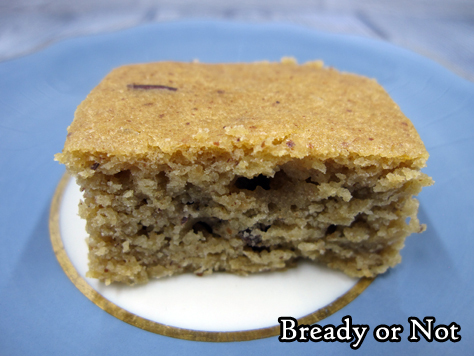 Place on parchment with two inches of space to allow for spread. Bake for 12 to 15 minutes, until set but still soft. Let cool on pane for 5 minutes, then transfer to a rack to fully cool. 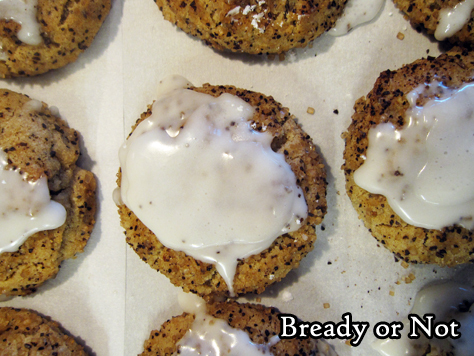 Once all of the cookies are baked, make the glaze. 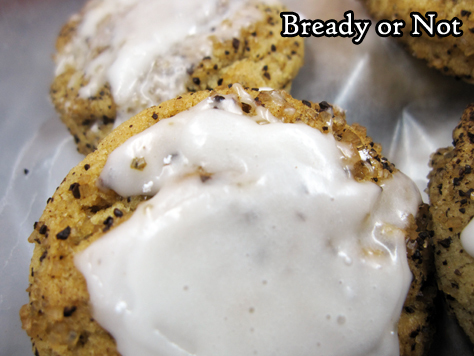 Stir together the confectioners' sugar and liquid of choice until the glaze is thick but spreadable. Use the back of a spoon to glaze each cookie. 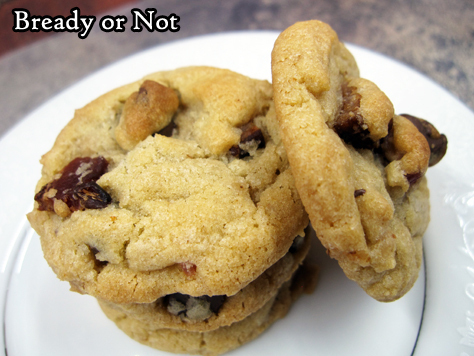 Let set about 15 minutes before packing in sealable containers, wax paper between the stacked layers. Hauntingly hopeful, Miss Violet & the Great War explores the tragedy of the first World War with poetic grace. I found this not to be a book to blaze through in one sitting, but one to savor and appreciate in little bites. That’s not to say it’s a slow read, either. This is a book that felt like immersing myself into a cozily hot bath. I’ve read one of the related books in Hieber’s world, The Eterna Files, and that was a few years ago now. I jumped into this fourth book in the current series and had no problem following along, and I immediately loved a number of characters. While The Eterna Files seemed to be more of a supernatural mystery to me, Miss Violet & the Great War comes across as more like a spiritual gothic in the very mode of early 20th century novels. Though the book is about the horrific aspects of war, Hieber’s main focus is on the goodness and creativity of humanity. I’m rather left in awe by the grace of how she handled that. 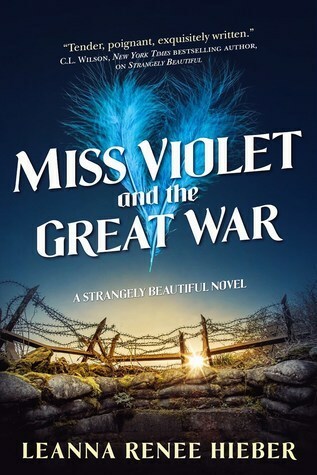 Miss Violet grows up haunted by visions of the War to come throughout her childhood, and prepares herself with intelligence and practicality; so many books are plagued by impulsive protagonists, and it’s refreshing to encounter one with such thoughtfulness and diligence. The latter half of the book is in the War itself, with battles of physical and spiritual natures. I highly recommend this to readers interested in the Great War and historical fiction with a fantastical bent.